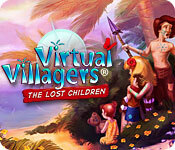 Virtual Villagers: The Lost Children is rated 4.5 out of 5 by 19. Rated 5 out of 5 by coha92 from Amazing Game! 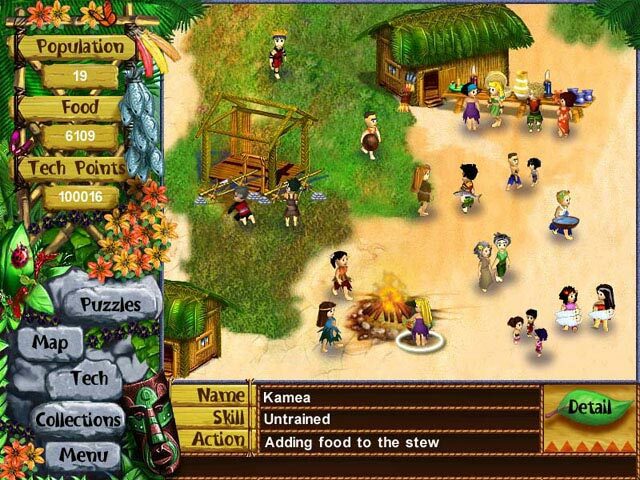 Somebody mention in a review the Virtual Villagers games and I was curious. I played the first one but didn't have much experience and my tribe die too soon. In the second game "VVs The lost Children" I paid more attention and I was able to experiment more with my villagers. 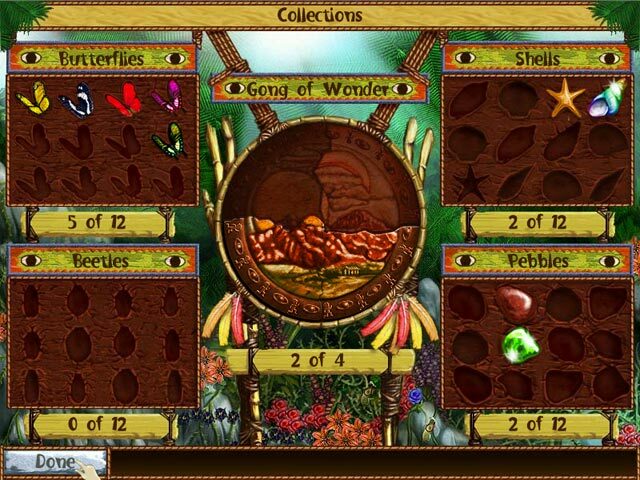 I completed all puzzles, the gong, the 4 collections, reached the maximum 115 population, find 16 stews, 50 Totems, make my tribe gain at least the trainee level faster. I played more than 600 hours so far and I love it more and more! I bought all VVs games and I just downloaded again the first VVs New Home because I want to complete the puzzles and do what I couldn't do before. What an amazing game!! I can wait to play all of them! Rated 5 out of 5 by Leeuin from Addictive! This game is so much fun, and very engaging. Rated 5 out of 5 by crazyiufan from addictive Awesome game. I couldn't stop opening the app to see what was happening. Great puzzles and story line. Rated 5 out of 5 by medic911 from Great game I play every one of the virtual villagers, and this one is my favorite. Rated 5 out of 5 by SummerSkyeSloane from STILL FUN for the Second Game of the Virtual Villagers Series The original game was wonderful to play and this sequel is even better: the island's area is larger, access to new clothes is available; there are no grey-haired children [like some in A New Home]...and more differences, too...but I don't want to spoil this by revealing too much. The challenges are all new and the game is exciting---especially when you're given the choice of playing at whatever speed is enjoyable for you. I'm rating this 5 stars and here they are now *****. Rated 5 out of 5 by moonflower994 from Theeeey're Back! The Villagers are back... this time with orphans to take care of.I like the way they catch fish in this one... just dive in the water and catch them by hand... Hours of fun entertainmnet as your lil peeps make you laugh and cry(and swear!) 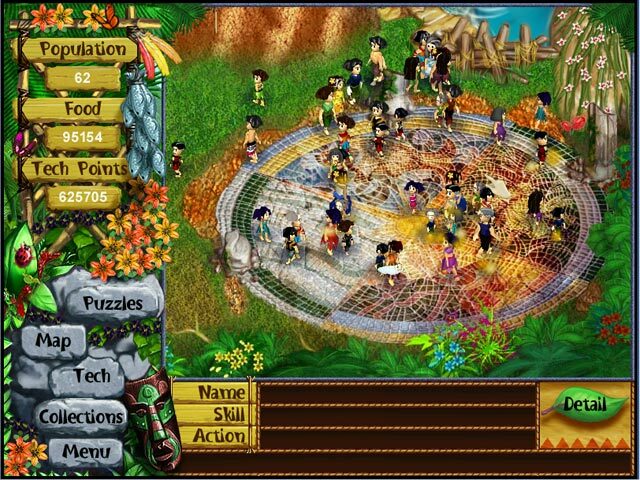 when they gather food, make babies and solve yet another mystery of the Great , Magical, Island of Isola! Rated 5 out of 5 by swampie from Couldn't Get Any Better Don't know why I waited so long to play this game. So much fun. The little villagers are quite entertaining and so cute. Also enjoyed VIRTUAL VILLAGERS A NEW HOME.